blue plate studio has, and i quote, "the cutest set of original paintings ever." for real. her orignial works come individually or in a set and are only $34 each. 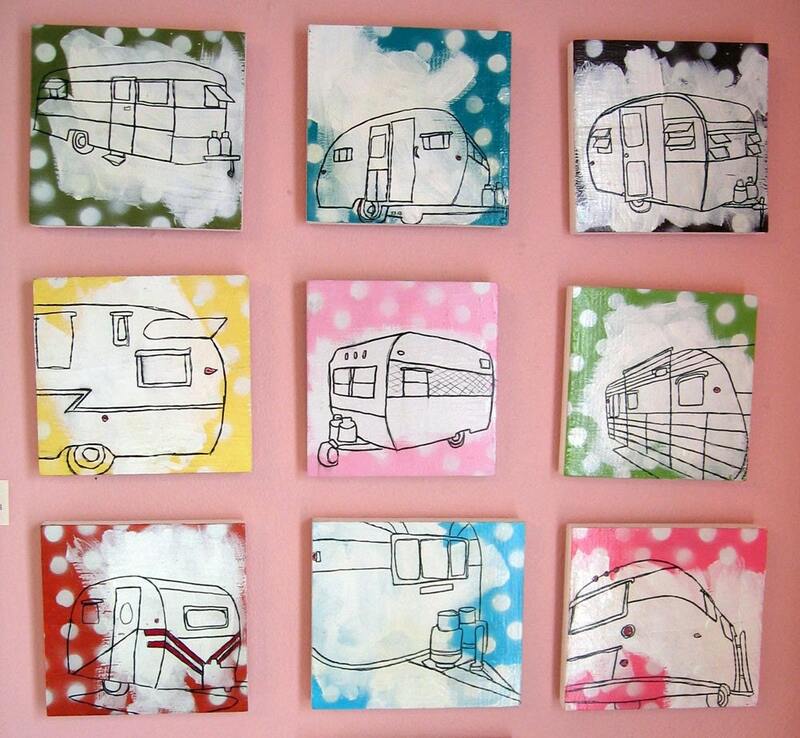 polka dots and vintage travel trailers. so sweet. visit blue plate studio at her esty shop!